For this Intensive option for the Three Stages of Awareness Program, my focused attention is on you for the day (e.g. 9am-4pm, including a follow up session with me after 30 days). You also receive the full Three Stages of Awareness Program that you can journey through and reference in your own time afterwards. So you can relax and be “taken by the hand” throughout our time together. If you are committed to stepping into your intrinsic power and allowing your everyday life to transform, so that you can live from a space of joy, peace and authenticity, then I am available for you to spend this time guiding you through my life-changing Three Stages of Awareness Process. I love seeing women having breakthroughs while working with me, when they realize that they don’t have to live with struggle any longer and that a life of ease and joy is available for them! I use my unique experience and intuition to totally focus on you and your adventure of stepping on the path of living from your magnificent true self. During this virtual VIP Intensive, I’ll show you step-by-step how to implement the Three Stages of Awareness so that you can become clear in your life. It’s a glorious feeling of excitement and fulfillment, to know that there is a Divine alternative to living from your old story and conditioning; to know that you can live from Oneness rather than duality is truly comforting. During your VIP time, I will guide you through The Three Stages. The First Stage: Becoming Aware, deals with why you are struggling in the first place and how you let go of it. This gives you the powerful opportunity to know where you stand so that you can move forward with clarity into The Second Stage: Connecting to Awareness, where I share with you Three Special Practices that you can use to connect with your higher self and your Creator so that you can live the life you were born to live. I will show you how to connect directly with your Light-Guidance so that you can receive answers and awareness about what is challenging you and so that you can discover your life’s purpose. You can come away with the tools you need to continue on the path of discovering and living from the space of who you really are. These practices open up your awareness so that you can move beyond duality and really experience that you are not your mind, your thoughts, or your physical body and that you are separate from the struggle you experience. These delicious practices bring you into your heart and your creative power, so that you can have your relationships, health and finances flow in a very positive way. You can feel the freedom from my showing you how to transmute your scattered energy into a focused practice that will save you so much time. You will know how to deal with challenges and live your glorious life according to the intuitive guidance of your true self. This plan will save you time and keep you focused. I will also provide you with resources for you to explore in your own time and use in the future. In the Third Stage: Living from Awareness, you learn how to create your life from this space of awareness of who you really are; from oneness, not from duality. We explore moving beyond the Law of Attraction by making a pure choice and embodying your desire from a space of who you really are. One of the ways we can do this is by using two of the most powerful words in existence. 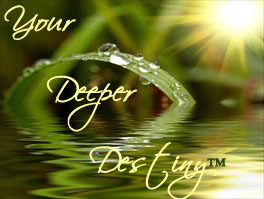 When you Live from Awareness, you can realize and live from your Deeper Destiny™. This is the ultimate fulfillment. Everything in your life can fall into place when you come home to yourself and live your Deeper Destiny. In addition to this, at the end of your VIP time with me, I will map out a plan that you can use for the rest of your life so that you will know how to get the best results and you won’t feel confused any longer about how to experience the joy and peace and fun that you know is possible when you live your life from Oneness. Please email info@letgoandknow.com for details. If you would like to work with Marianne one-on-one, then now is the time. 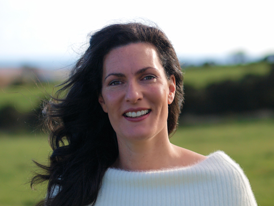 She is offering a special Free Clarity Session to discover where you are in your life now, where you desire to be and how you can live the fulfilled life you were born to live! If you are interested then please contact her at info@letgoandknow.com with any inquiry that you may have.